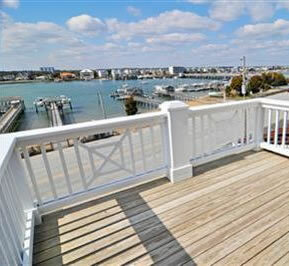 Sit back and enjoy the sunsets across the soundfront from your deck or take out the boat from your 60' boat slip at 112 South Lumina Ave Unit B in the heart of Wrightsville Beach. 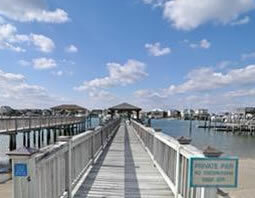 We currently are listing this spectacular 10 room, 5 bedroom, 6 1/2 bath, soundfront condo located just a short walk from all of the amenities of downtown Wrightsville Beach. The property is four stories and includes an over sized garage with ample storage for your fishing, boating, and beach gear. The interior has a very contemporary floor plan which can be ideal for entertaining around the wet bar or gas-log fireplace. The executive kitchen has a ceramic backsplash, granite countertops, cypress ceiling, and GE Profile Appliances. You can ride an elevator between all levels and relax on bench seating on the exterior decks (which have cypress ceilings and an outdoor lighting package). This fine condominium is currently listed at $2,479,000 and you can track the property on our web site. 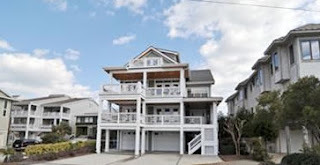 If you would like to schedule a showing of this listing or would like more information about our Wrightsville Beach real estate services, please call 910.256.6998.